Ethics Awareness Week has changed to Ethics@Illinois Seminar Series. 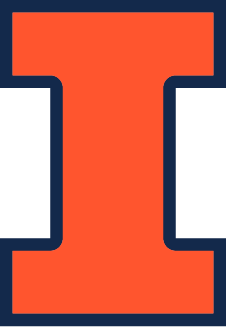 Since 2012 the University of Illinois at Urbana-Champaign has delivered programming to highlight the importance of issues surrounding the responsible conduct of research and contributing to the campus dialog on a topic that involves all students, staff, and faculty who participate in the research enterprise. Starting in 2015, the format changed to offer opportunities throughout the year for units to sponsor events of interest to their communities on Ethics Awareness. The Ethics@Illinois Seminar Series is an initiative of the National Center for Professional & Research Ethics and is sponsored by the Graduate College and the Office of the Vice Chancellor for Research, with support from the Center for Professional Responsibility in Business and Society. The Ethics Awareness Week Fund will pay travel for guests approved by the committee. NCPRE must book the travel. The Ethics Awareness Week Fund will pay lodging for those guests for the nights they are on campus for Ethics Awareness Week events. The Ethics Awareness Week Fund will pay for primary host’s meals and the EAW guests meals on days they are on campus for EAW events. If an event for EAW is planned with student participants and that event includes food, the Ethics Awareness Week Fund could pay for it with prior approval from the committee. The Ethics Awareness Week Fund can/will NOT pay for any alcohol. Submit a proposed schedule of activities for guest. Include those activities committed to and those proposed. Host must provide avenues for promoting the event and handle distribution of EAW Committee produced promotional material at least one week before the event. NCPRE can provide planning and logistics support for the Ethics Awareness Week event (i.e. room reservations) but the rest of the schedule must be handled by the hosting unit and the guests schedule must be reasonably full. EAW Week Committee members can help with suggestions on cross campus opportunities. Proposals should be submitted to NCPRE at: ncpre-source@illinois.edu or 217-333-1416.